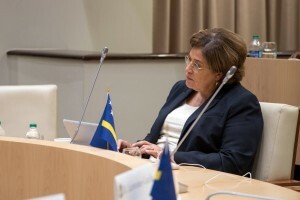 WILLEMSTAD - According to Minister Suzy Camelia-Römer, The United Nations Environment Program (UNEP) was wrongly informed by third parties about the development of Oostpunt (east point of the island). The UNEP has yet expressed its confidence in the Land Verification Revision East Point and its implementation. This has shown that this special organization of the United Nations has been misinformed “with incorrect and incomplete information” regarding the planned development of the still pristine eastern part of the island. The UNEP Secretariat previously condemned the government of acting in violation of international agreements and rules. The information provided by the UNEP Secretariat on East Point and the recently adopted legislation is, in the opinion of the Government of Curaçao, not a complete and also not a fair representation of the facts. Camelia-Römer, therefore, wanted a formal and correct rectification.